An Example of a 20-round Sample Pack. 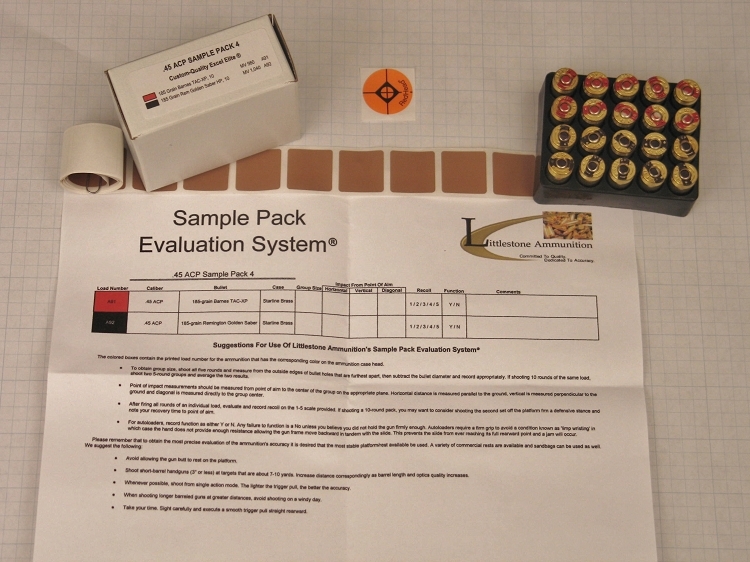 Click On Photos Below For Identification Of Bullets Loaded In This Sample Pack's Ammunition. Ten rounds loaded with 115-grain Sierra Jacketed Hollow Point bullet: The Sierra Jacketed Hollow Point bullet has the widest opening at the tip of the bullet and a skived Power Jacket that extends to the bullet tip. It is designed to provide flawless feeding in all auto-loading pistols, as well as fast expansion for use at low to medium velocities. Starline brass.